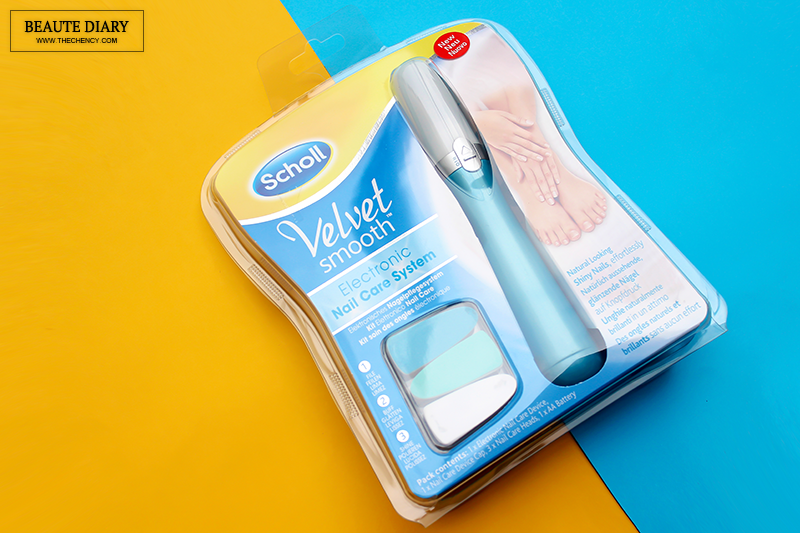 Scholl's Velvet Smooth Electronic Nail Care System comes in a package with an electronic nail care device (included one AA Battery) and 3 detachable nail heads. 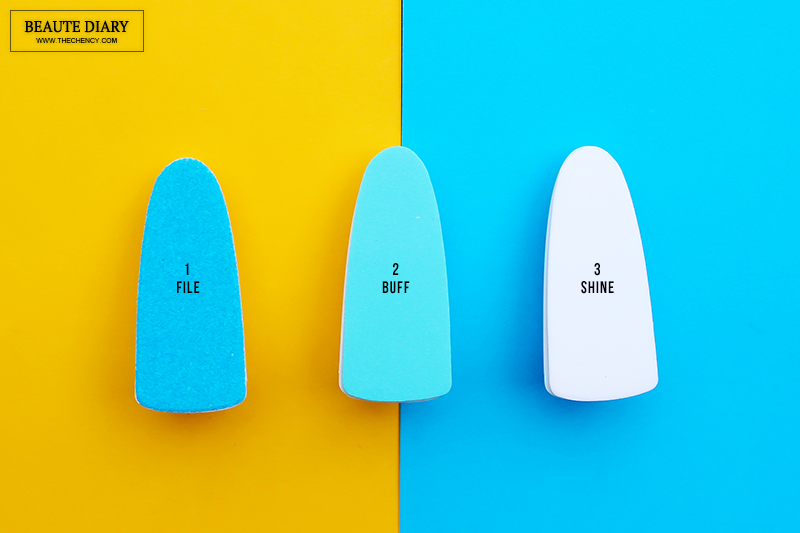 It’s basically a three step system of filing, buffing and polishing your nails. 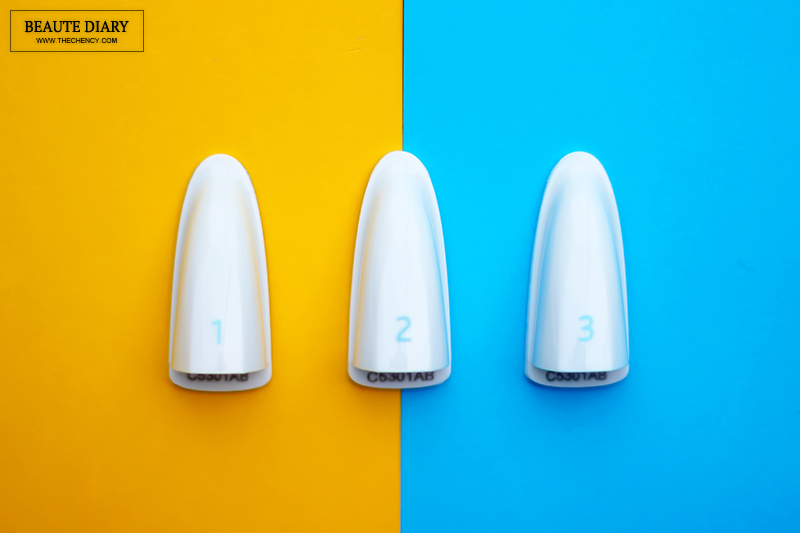 Thinking about the old-school nail buffer blocks but in an electronic way that can lessen your energy and better result. The device is in a pen-like design which allows users easy and comfortable to handle just like holding a pen but a thick one. The nail heads are detachable, comes with three steps (file, buff and shine) and at the back has the number so for those who are easy to get confused, just follow the number behind. To remove it is unexceptionally simple, gently pull off the nail head and takes another head attached to it. You can clearly hear a sound that is attached to the device. It comes with two speed, normal and fast. Normal speed is appropriate to start with and for more precise filling. The more power and better shine result, you can set the speed to fast if you're already used to it. To file my nails, my personal preference will be in normal speed as I can have more control in shaping my nail. Fast speed is on step 2 & 3; buff and shine especially for shine so I can have healthy shinier nails. Before starting, it advisable to clean and dry hand and feet for the best result. 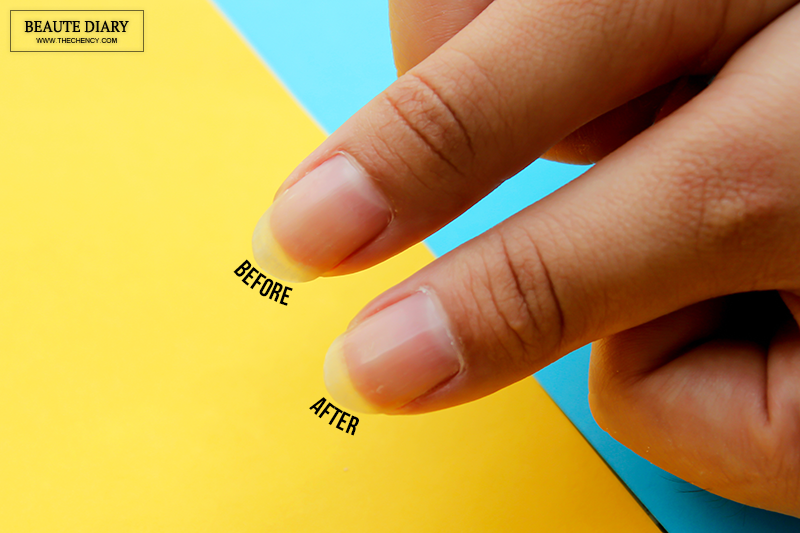 Put the file head on the nail pen, switch it on by choosing your desired speed and file your nails to your desired shape. 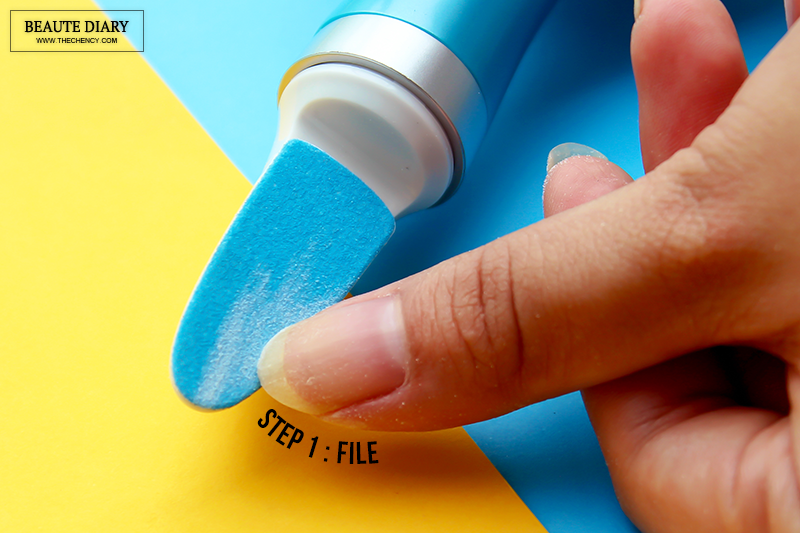 Only smooth the file into one direction to install the ability and strengthen the nail. 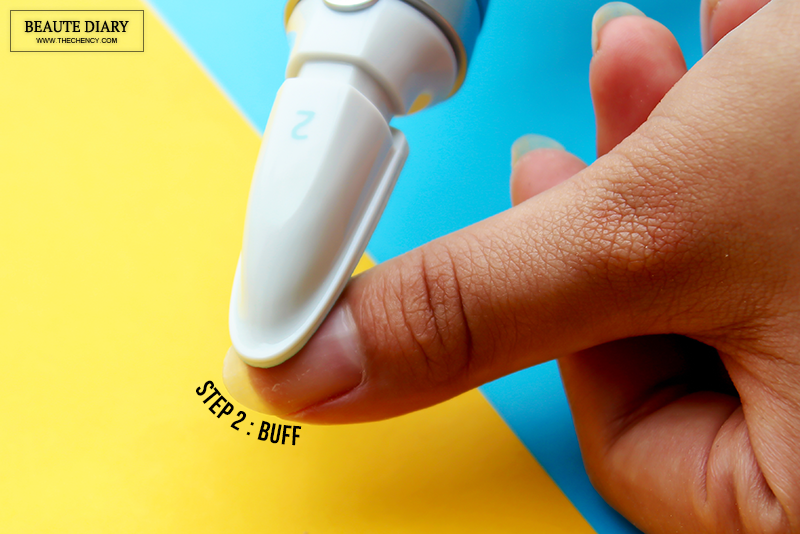 In the end, please check the smoothness of the result with your fingertip. Put on the buff head to even out the imperfections and smoothen the nail surface. 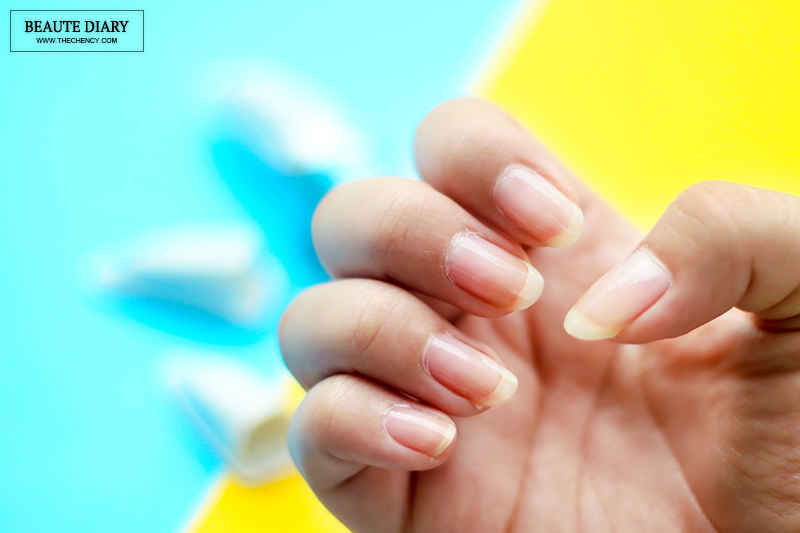 Please do not do more than 15 seconds per nail every two weeks is fine without stressing the nail. Move the buff head gently over the nail surface without too much pressure and stay on one spot. Check the smoothness and continue depends on your preferences. 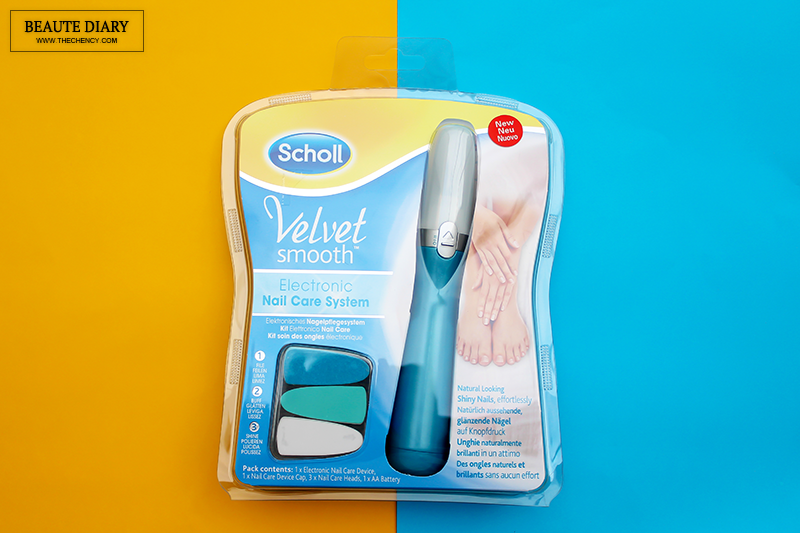 What I liked about this nail care device is super easy to use and quick to see results. 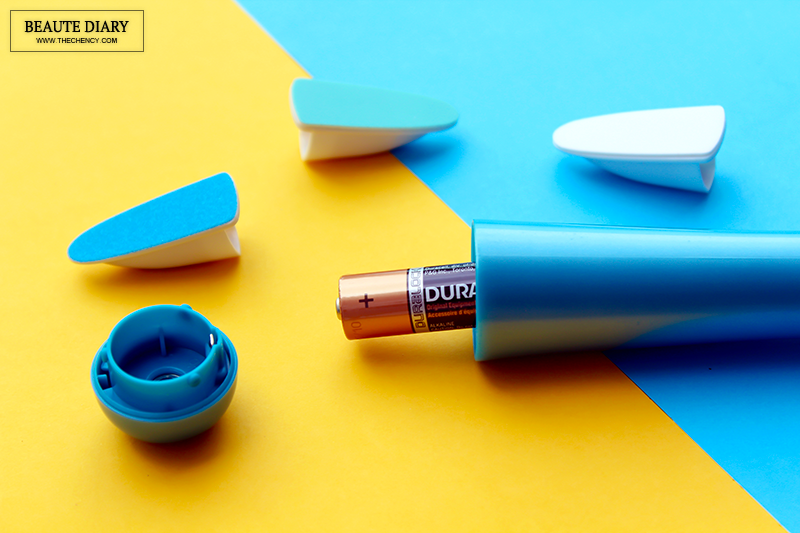 Filling the nail using this device might be tricky at first but once I hang of it, it is easy to shape out and it's basically done all my nails in less than 3 minutes. 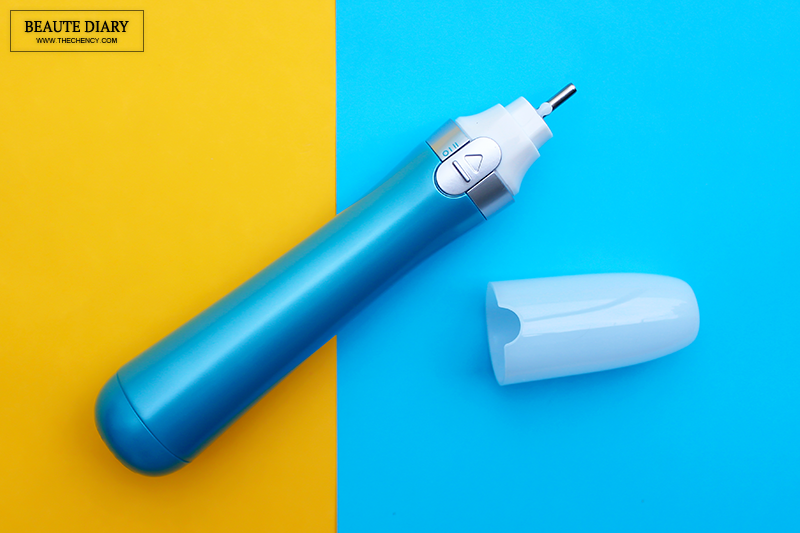 The design is easy to hold and I like this device comes with two speed options, normal and fast so it will be more controllable for me especially during step 1, file the nails. I found it quite quick to file my nail edge which is always the trickiest part if manually filling it. After using the buff side, my nails is noticeably smoother and felt soft when I ran my finger over it but one time has to remind again, try not buffing more than 15 seconds per nail every two weeks or else you nail might be too week. As for the shine side, I recommend go with the fast speed with exerting a little pressure so you will get glossier shine nails. On the other side, I also like to use this device to files my fake nail which really save my time even better. In general, this device is definitely worth the splurge. Get the code 'FILE30' to get RM30 off when you purchasing at Lazada. The code is valid until 31th March 2016.
please feel free to visit https://www.facebook.com/SchollMalaysia. Wow... Really a great product to polish my nail. Will get 1 soon since it is so convenient to use it. This is very handy tools for nails, I will check it out. 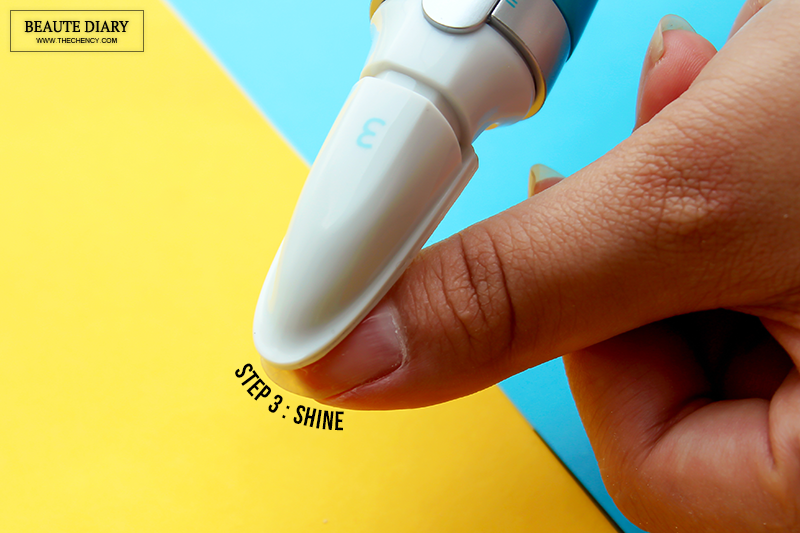 very good tool for nail care, but the price more than rm100, i like how you review it in very detail, how did you the animated image, share with me the secret for it.since i am not a fan to keep my fingernails beautiful i think this tool really great for the beauties out there. Wow this is so cool! I wanna check this out too. WOW. I LOVE YOUR WRITE UP ON THE PRODUCT. Gonna get myself one of this! Thanks for sharing. I wanted to try this badly since i enjoy doing my manicure at home, looks pretty good eh! i need it , to have a manicure session with bff at comfort home! this thing is so good right?! i love it so much! your fingers so pretty. but why no see face one?